Huawei Australia chairman, John Lord, used his address at the National Press Club in Canberra today to speak out against what he says are ‘myths’ about the Chinese technology company. “There are a lot of myths that have developed around Huawei and we, as a company, have probably failed to properly address or combat them. There has been a reluctance to be loud and boastful in public, and a reluctance to debate our detractors,” he told the audience. The first myth, he said, is that Huawei gets cheap loans or lines of credit from Chinese banks. “Wrong, in fact 80 per cent of every dollar of our financing comes from non-Chinese banks, two of these are Australian banks,” he said. The second myth is that a communist party runs Huawei. Lord said there is a communist branch in Huawei, as there is one in Walmart, Nokia, and Samsung. “And I assume the BHPs and Rio Tintos and any other large company operating in China, it’s the law. In fact, three out of four joint ventures in China have a branch,” he said. The third myth is that under national Chinese intelligence law, Huawei has to cooperate and collaborate in intelligence work. Lord said the law does contain safeguards that discharge individuals and organisations from providing support that would contradict their legitimate rights and interests. “And that law has no legitimacy outside China. We obey the laws of every country in which we operate in. In Australia, we follow Australian laws. To do otherwise would be corporate suicide,” he said. The fourth myth, he said, is that the UK government regrets having Huawei in the UK. “I think George Osborne, the then UK chancellor summed it up when he said: 'There are some western governments that blocked Huawei from making investments, not Britain, quite the opposite,'" Lord said. The final myth, he said, is that Huawei is asking to do something here that China won’t allow foreign companies to do in China. Read more What happens if the Australian government locks Huawei out of 5G? “False, Nokia and Ericsson are both undertaking 5G work in China. In fact, in April this year, Nokia won a big contract with China mobile for 13 city metro and two provincial backbone networks which will form part of China Mobile’s 5G build,” he said. Meanwhile, Lord also defended Huawei’s ability to roll out 5G technologies across Australia. Several politicians have called for the company to be banned from participating in the next-generation communications network amid fears it is effectively controlled by the Chinese government. Lord said he hoped that the supposition that Huawei will be banned from Australia's 5G network is wrong. "We are having long, involved discussions with government and will continue to do so," he said. Lord said carriers in Australia have been using Huawei equipment for nearly 15 years and there has never been any issue that could affect national security. He said in the UK and Canada, Huawei has set up and run, at its own cost, government-endorsed evaluation facilities using security-cleared testing personnel. “We are progressing a similar solution for New Zealand. We are also creating a briefing centre and evaluation centre in Brussels for anyone to use,” he said. Lord was expected to make an offer today to fund a testing centre in Australia. “We are proud that after every kind of inspection, audit, review, nothing sinister has been found. No wrong doing, no criminal action or intent, no ‘back door’, no planted vulnerability, no ‘magical kill switch,’” he said. 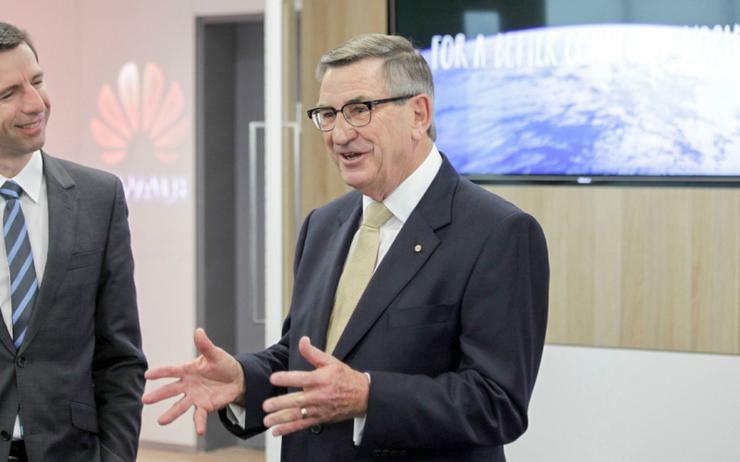 An ABC report earlier this week claimed that Huawei is the biggest corporate sponsor for Australian politicians’ overseas travel.